Weather has been delightful for several days ~ hint of autumn in the air but very invigorating. It can change any minute so am thoroughly enjoying it all. Wonder how you all are doing? Art Muse Dog and I have been taking small strolls and discovering what we might photograph in this clear, cool air. We have met many people and they all seem to love Art Muse no matter the age. She is a cutie and so very friendly but rather independent at times also. Hmm, can't imagine who that might resemble. 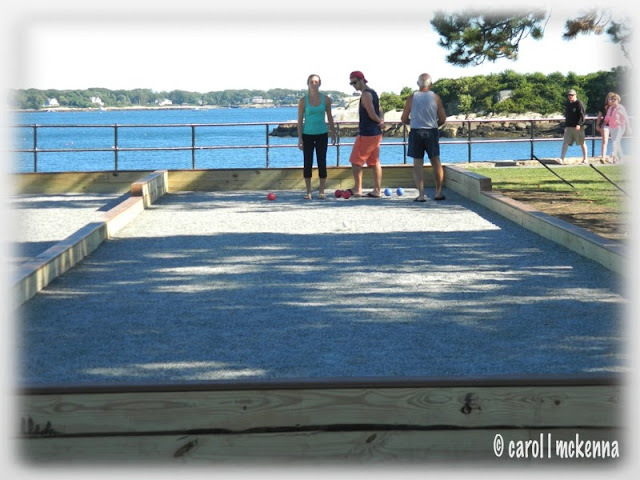 Each photo above is taken on Cape Ann MA, even the background photo for the haiku. Hope you enjoy them. 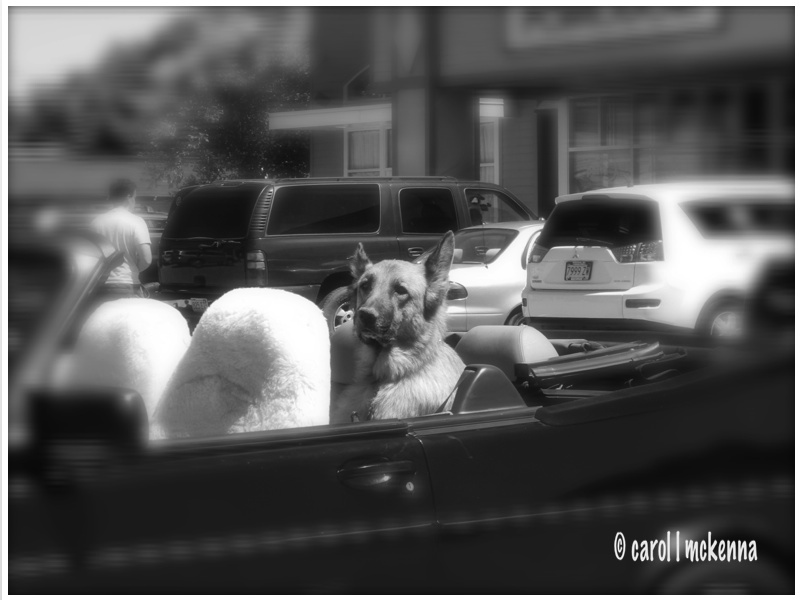 Love the German Shepherd in black and white! Thanks so much for linking up! Wonderful shots. I love the dog in the rag-top and the horse. Great weather we're having! That first shot is so cute, and the horse is a cutie! Have a great day! I love a photo stroll... and yours yield great finds. Who wouldn't love Art Muse! That first photo made me crack up! And I love the horse - so pretty! Hi ArtMuse Dog! Hope you're enjoying your walks! I like that leaf that you found and that handsome horse. I wonder if the dog has a seat belt on!! I hope he got a carrot! 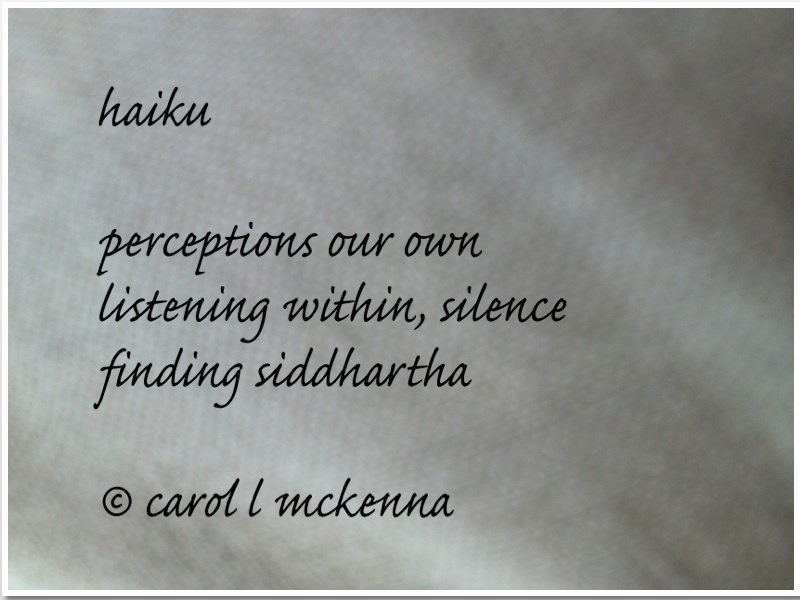 An awesome post, Carol! I like the first photo too! Going to look up siddhartha. Sounds lovely! Love the dog photo! Very nice in black and white! Good looking horse, too! Net shot of that lacy leaf! LOVE the shot of the pup waiting for his master... so sweet! Thanks for sharing on RBH this week! Love the lacy leaf and the horse. Great photos! 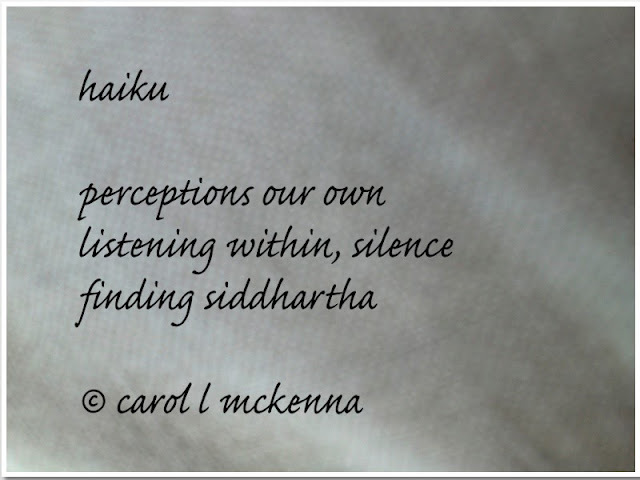 An awesome post Carol ... what a joy to read your haiku on Siddhartha ... sorry that I had to change that episode, but this haiku is a gem. I love your beautiful shots of Cape Ann! 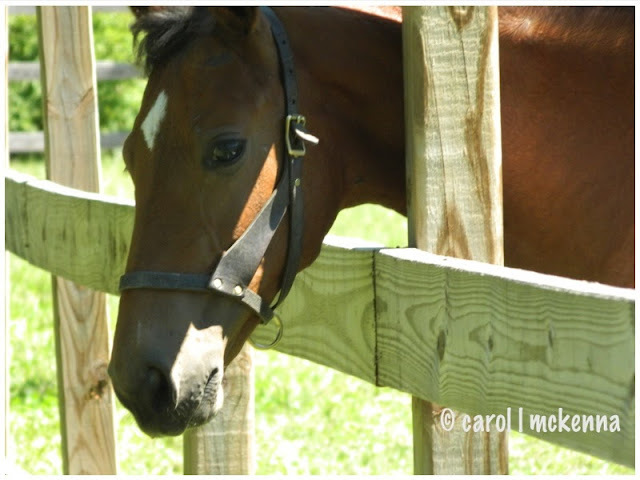 I'm wondering if the horse ever got his carrot - he really did an awesome job posing! you have a fab way with words . Whenever I see a dog in a car, I always think their little faces seem so lost and sad. It is almost like they think their people are never coming back. 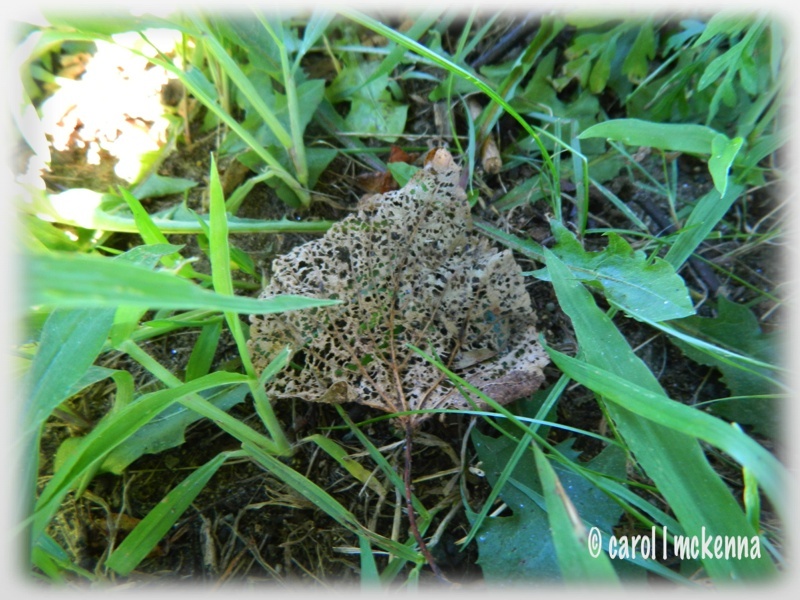 And the lacy leaf is really quite special! love the first black and white photo! You have no doubt captured his thoughts precisely. Lovely post for the letter "L".